How can I get colored icons in Delta? 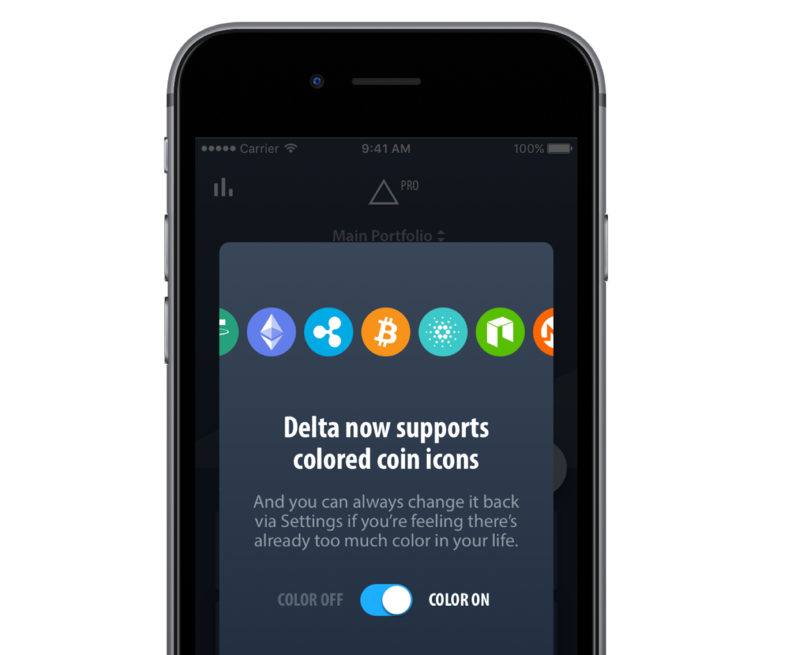 Delta now supports colored as well as black&white icons! To switch, head over to Settings -> View Options and turn on/off "Colored coin icons".